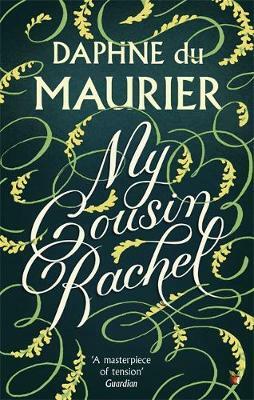 As a fan of Daphne du Maurier I read most of her books when I was much younger, but for some reason I never got round to My Cousin Rachel. I don't know why that is - along with Rebecca and Jamaica Inn, it's probably one of du Maurier's better-known novels. The narrator is Philip Ashley, an orphan brought up on a large country estate in Cornwall under the care of his guardian, Ambrose, in the early 1800s. When Ambrose dies suddenly overseas, shortly after his unexpected marriage to a distant Anglo-Italian cousin, Philip, now in his early 20s, is convinced that Ambrose's widow Rachel is in some way responsible. Yet he, not Rachel, is the beneficiary of Ambrose's will and when he finally meets his cousin, Philip finds himself instantly charmed by her beauty, wit and sophistication. Can Philip's initial suspicion that Rachel poisoned Ambrose, gleaned from his guardian's confusing letters, be correct? Or did Ambrose indeed die, like other Ashleys before him, of a brain tumour? What is particularly clever about My Cousin Rachel, however, isn't just the ambiguity of Rachel herself, it's the unreliability of the narrator. The late Ambrose, whose presence hangs over the novel, has brought Philip up in a way that Philip believes faultless but which could also be seen as somewhat stifling, over-indulgent and inappropriate - the book opens with him taking Philip, then a child, to see the tarred corpse of an executed criminal hanging at a crossroads. Philip's adoration of Ambrose is also almost uncomfortable to read about in its obsessiveness; it seems more like an intense crush than a paternal or avuncular relationship. Moreover, Philip's entire world-view and character have been shaped by Ambrose, who has brought him up to be suspicious of foreigners and disdainful of women. It's very clear that Philip thinks of himself as a simple country squire and a jolly, affable nice guy, and indeed his behaviour towards his servants and tenants does often support this - yet he is also a spoilt, complacent misogynist, oddly inflexible and, when it comes to his relationships with not only Rachel but everyone else in his limited acquaintance, immature. While we're always aware that Philip's view of Rachel is colouring our own, that's not to say that we can be confident that everything Philip thinks about Rachel is wrong - not least because what Philip thinks about Rachel is constantly shifting and conflicting. Du Maurier is a consummate expert at this kind of writing, wrong-footing us repeatedly and imbuing the novel with a feeling of uncertainty and latent, simmering danger. My Cousin Rachel is more of a psychological novel than a plot-driven one, and isn't necessarily going to please everyone who likes clear answers and neatly tied-up loose ends. It's also not particularly fast-paced; it's character-driven rather than action-packed and the story unfolds slowly and descriptively, with the feel of a Gothic novel from an earlier period. It is, however, full of atmosphere, and despite the pace it still feels tense thanks to its pervasive sense of unease.